Let's be honest, mamas: It's no secret that we are all a little sleep deprived. It doesn't matter if it was a school project or laundry that kept us up late…we are all a little worn out. Unfortunately, our eyes seem to show our fatigue the fastest! 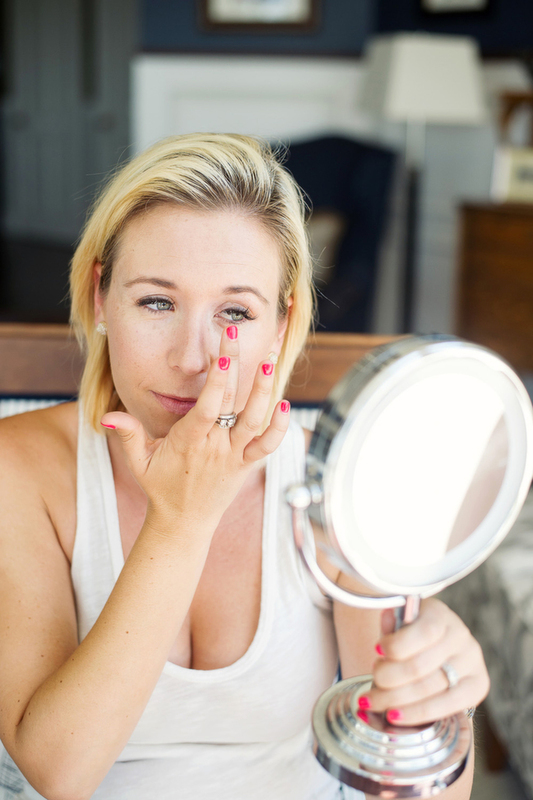 Never fear, below are some tips and tricks for how to brighten tired eyes and make you look like you've just had ten blissful hours of sleep. Other great tools not shown are an eyelash curler and mascara. 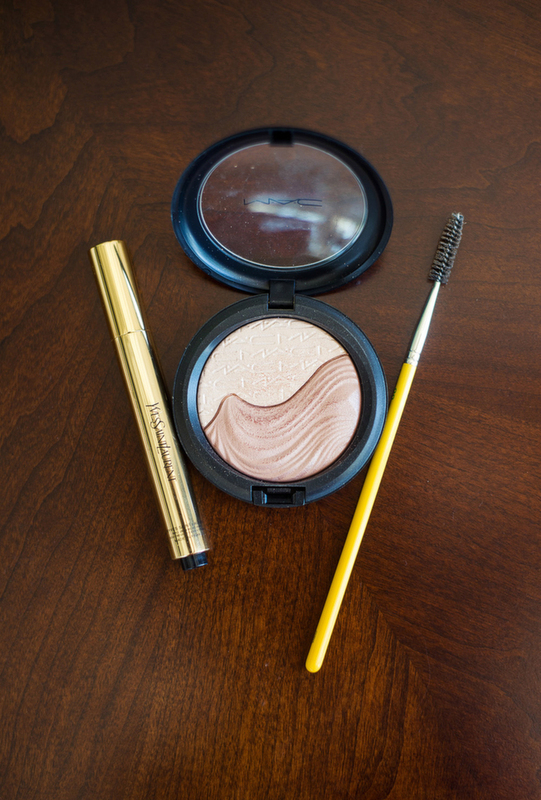 Step 1: Brush up your brows to create fullness and create the illusion of a lifted eye. Step 2: Apply a brightening concealer in stripes to create a triangle. The peak of the triangle should be closest to your inner eye. 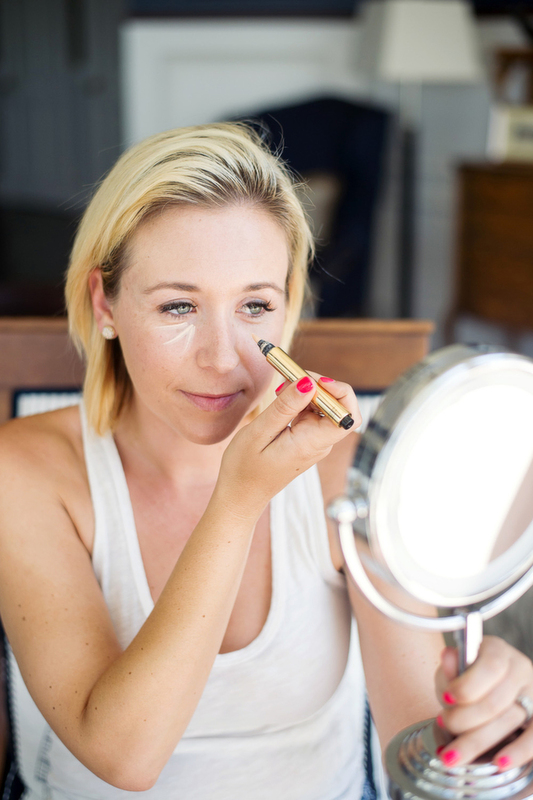 Step 3: Blend concealer with finger in a dabbing motion down toward nose and up toward outer eye. Step 4: Dab on a small amount of powder or cream highlighter. This can be a shimmery vanilla or champagne eyeshadow, or in my case a cheek highlighter. 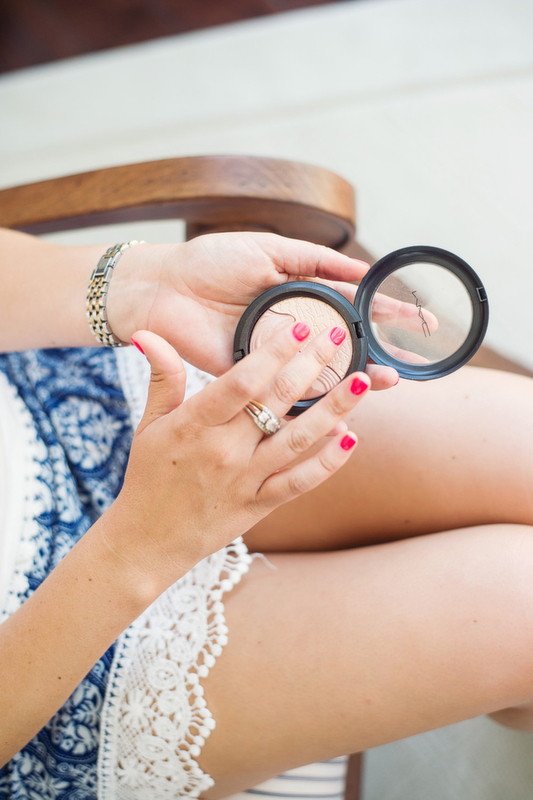 Step 5: Apply powder or cream to brow bone right below brows. Step 6: Also apply highlighter in inner corners of eyes. 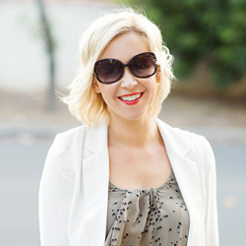 Your friends will wonder what your trick is to all your "bright, rested" eyes.